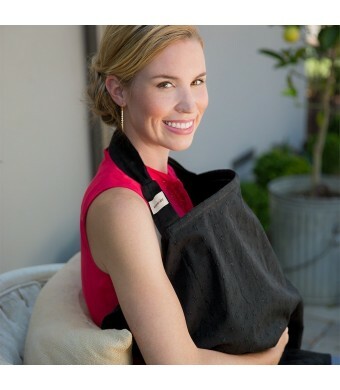 The Bebe au Lait Classic Eyelet Nursing Cover helps maintain privacy and comfort while nursing on the go. This breastfeeding cover has a patented Rigiflex open neckline that holds the cover away from mom and baby, which allows them to maintain eye contact and continue the important bond during breastfeeding. The neckline features a patented Interlocking Cap System that prevents sharp boning material from breaking through the ends, making it more durable and protective than the competition. The open neckline also ensures proper air flow and allows mom to see that baby is properly latched, encouraging breastfeeding success. The neck strap is secure and adjustable to hold the cover in place, so you can breastfeed with confidence no matter where you are. This one-size-fits-all nursing cover is made with double-layered 100% cotton and features embroidered eyelet details. The cover also has two internal terry cloth pockets for cleanups and storage. Black Eyelet is the little black dress of nursing covers with a classic and sophisticated design. The Bebe au Lait Premium Cotton Nursing Cover is machine washable, so it's always clean and ready to go when you need it. 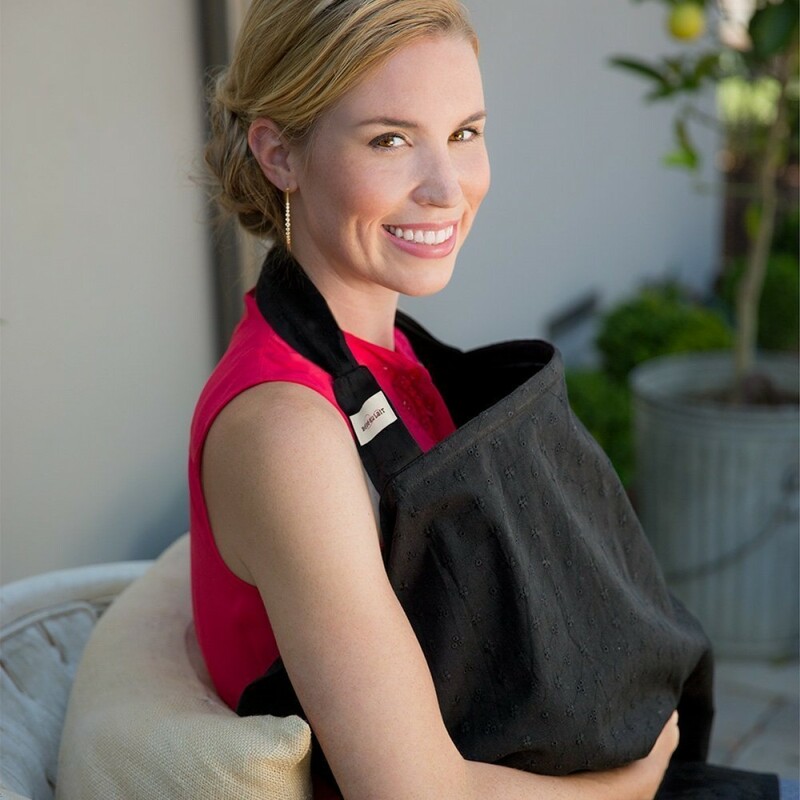 Bebe au Lait's award-winning nursing covers have been a favorite of celebrities and breastfeeding mom's since 2004. Bebe au Lait is committed to creating products that families love, whether it's for bath time, mealtime, or on the go. All Bebe au Lait products are made of the highest quality materials and tested to meet international safety standards. Designed by parents for parents, Bebe au Lait is the practical and luxurious choice that mom's reach for first.